buy now Join us for a night of amazing music. 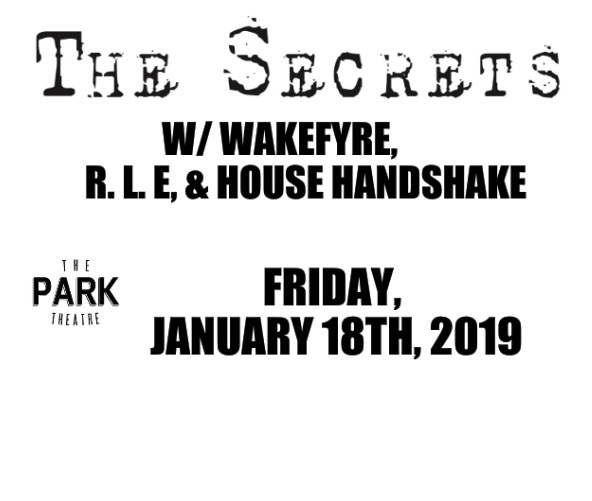 The Secrets and Wakefyre are teaming up for a wild night at The Park Theatre. Opening the night is the very talented “House Handshake”, followed by the amazing “Ronnie Ladobrok and the Electric. Please join us, only $10!